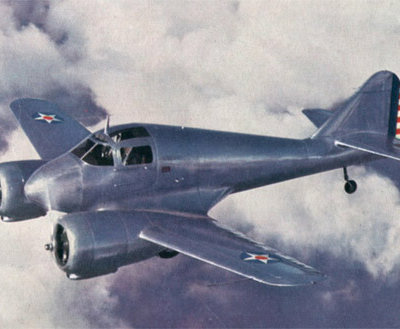 The L-3 series of liaison and observation aircraft (originally designated 0-58) were based on the pre-war Tandem Trainer and Chief models. 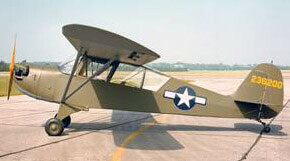 The aircraft was declared obsolete before the US entered WW2 so the type did not see active service. 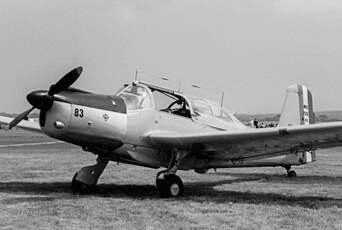 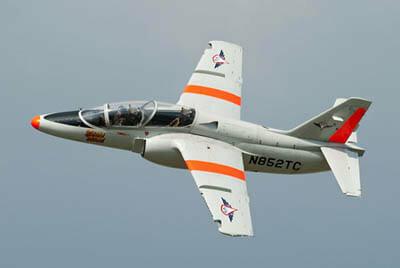 A version of the basic airframe with an extended fuselage in place of the engine was used as a training glider under the designation TG-5. 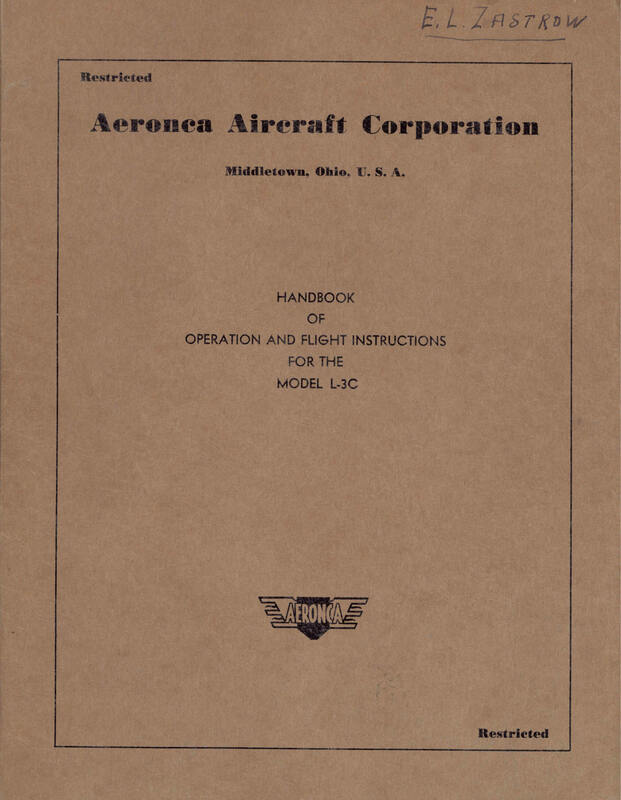 This Title contains two flight manuals for the L-3 series, the USAAF Service manual, and the USAAF Operation and Service manuals for the Continental O-170-3 engine used in the L-3 aircraft. All files have been scanned from the original flight manuals and retain any colour pages. 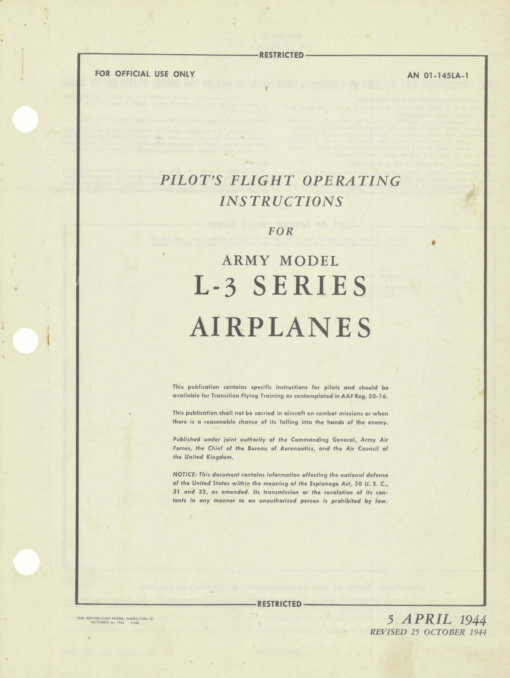 USAAF Pilots Flight Operating Instructions for the L-3 series, (L-3A, L-3B, L-3C) T.O. 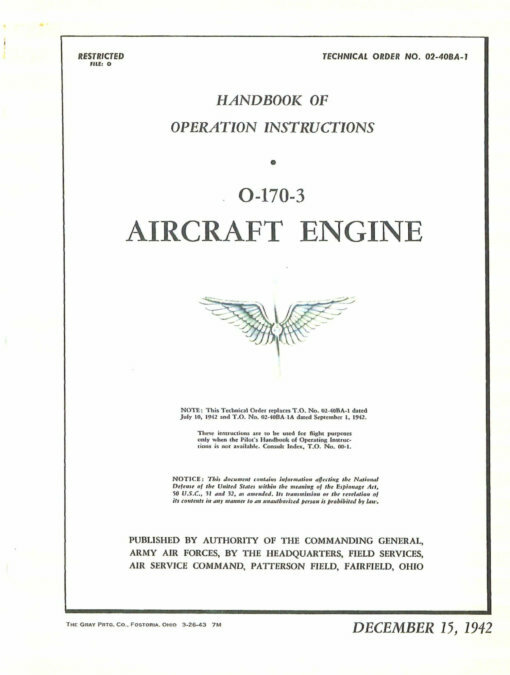 No 01-145LA-1 dated 5-4-44, revised to 25-10-44, approx 38 pages. 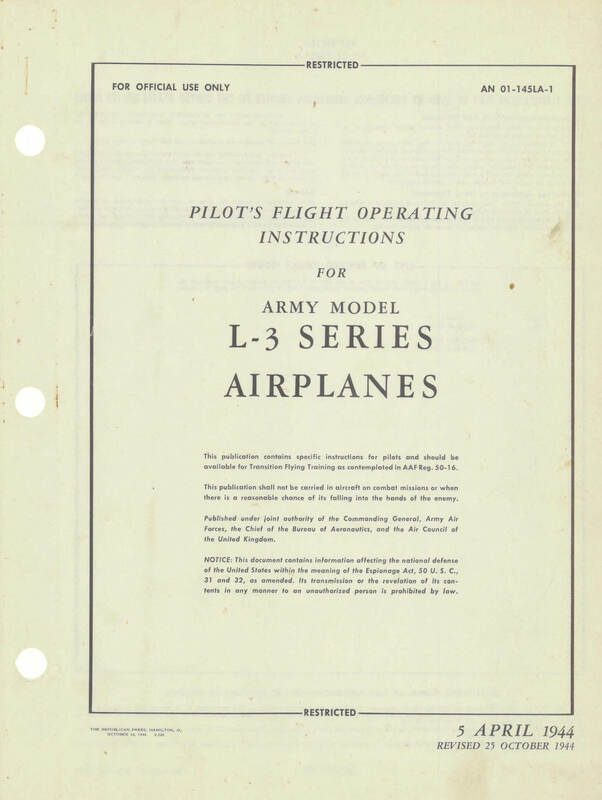 Manufacturers Pilots Flight Operating Instructions for the L-3C, undated with approx 14 pages. USAAF Erection and Maintenance Instructions for the L-3A, L-3B, L-3C, T.O. 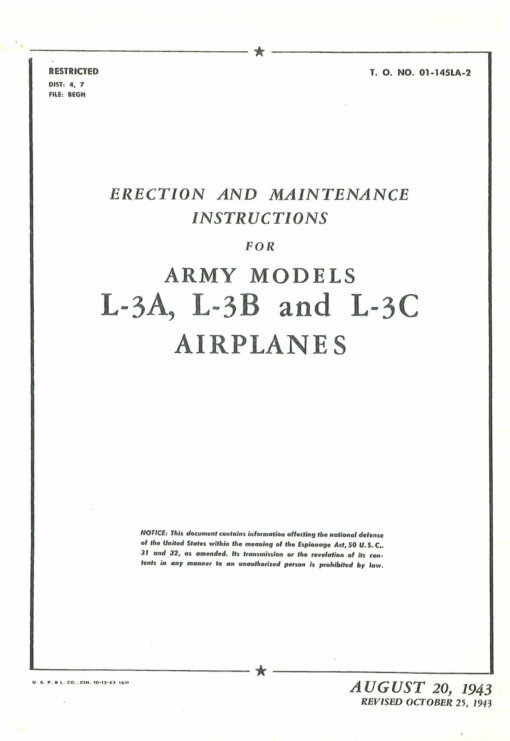 No 01-145LA-2 dated 20-8-43, revised to 25-10-43, approx 42 pages. USAAF Operation Instructions for the Continental O-170-3 engine, T.O. 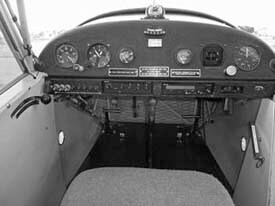 No 02-40BA-1 dated 15-12-42, approx 11 pages. 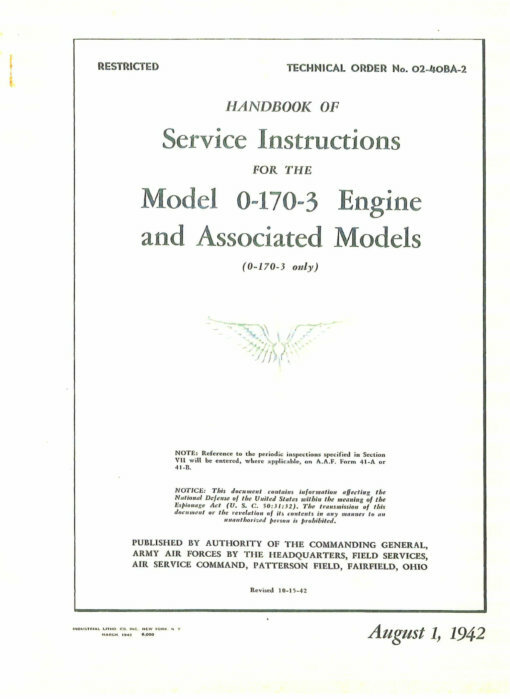 USAAF Service Instructions for the Continental O-170-3 engine, T.O. No 02-40BA-2 dated 1-8-42, approx 26 pages.